Ahead of the arrival of her next album, Joanne, Lady Gaga dropped "Perfect Illusion." The single features creative contributions from the likes of Queens of the Stone Age's Josh Homme, Tame Impala's Kevin Parker and producer Mark Ronson, as well as Justin Bieber, Madonna and Grimes collaborator, BloodPop (formerly Blood Diamonds). Now, the explosive track has been paired with an accompanying music video. 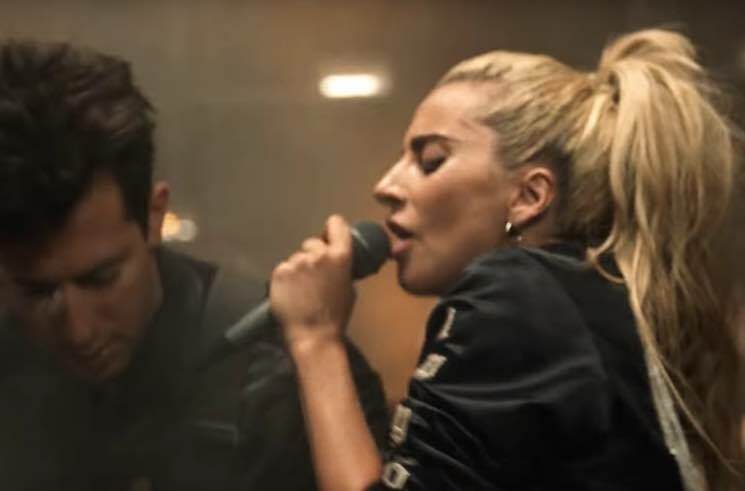 The clip finds Gaga cruising through the desert in a jeep, though she quickly abandons the vehicle in favour of dancing her way across the sand towards a giant middle-of-nowhere live show. Parker, Ronson and BloodPop all get in on the wild party, serving as Gaga's backing band in the clip. As previously reported, Joanne is due out on October 21 through Streamline/Interscope. Other guests expected to feature on the album include Father John Misty, Florence Welch and Beck. Watch the video for "Perfect Illusion" below.